In various parts of this howto you have to switch to the root-account (within a terminal). 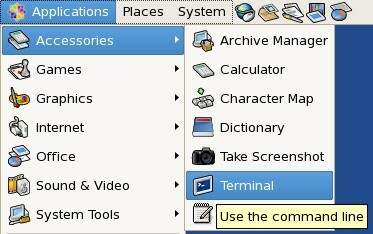 The terminal is available in the gnome applications menu. Note: How to manage packages with yumex is described later at step 5. After that we add priorities to the default repositories. The RPMforge-repository provides many packages like multimedia applications and drivers. Now let's set a low priority (high number > 10) for this repository. Before you are going to update the system for the first time you should check if there is software installed that you don't need, or rather that you want to replace with another software. The goal should be a clean system with only the programs installed that you really need. Which programs you should deinstall or replace with others is up to you - you'll find a summary of already installed software at step 6 and a little assortment of additional software (including possible replacements for already installed software) at step 7. You can simply deinstall software with the Yum Extender (yumex) - have a look at step 5. 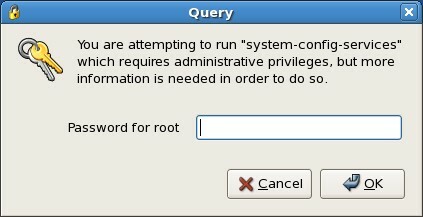 Some services are enabled by default on your system - maybe some of them are needless (depending on your hardware and your needs). 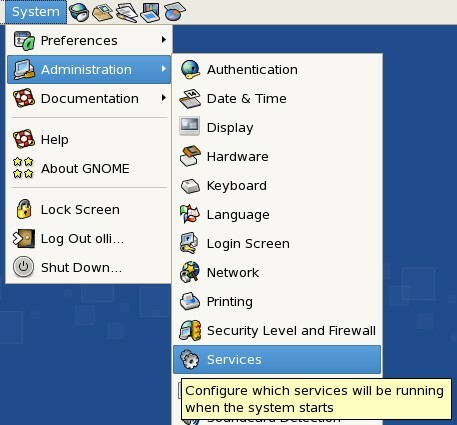 The deactivation of needless services will save system resources, so it's worth to take a look on the service settings - they are available in the gnome system menu. 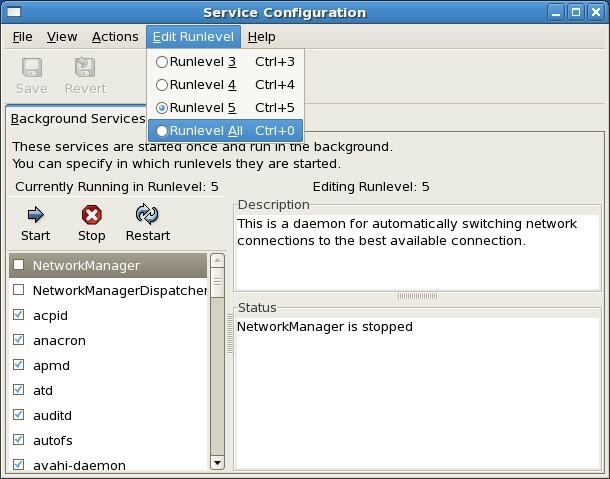 If you have a computer with a wlan-card I recommend to disable "network" in all runlevels - otherwise you'll have a long boot-time cause the system tries to allocate a dhcp-ip to this device (regardless of the configuration). 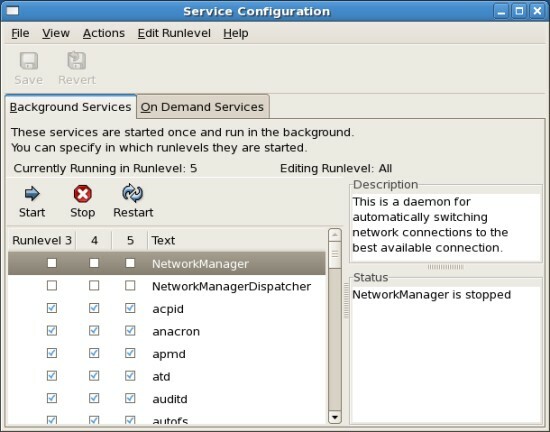 The network manager will enable the network automatically after you've logged in.